There is no question that for thousands of years antler has been the best possible natural handle material available for knives. It is durable and weathers slowly unlike wood which can be destroyed by variations in temperature and humidity when Antler is almost not effected at all. To this day Neolithic antler tools are still found intact. I will list here my own personal tips and suggestions for your gear when out hunting for antlers in the wilderness. Twine for tying antlers together or to your pack. 1. Start by studying where the deer herds are and how they migrate in your area. 2. Get an idea of how many male deer there are per herd. Some herds can have 7-8 males or more. 3. Hike into the hills/wilderness and look for heavy traffic areas and established game trails. 4. Dark droppings mean recent activity and lighter means older migrations. 5. Avoid heavy foot traffic trails and horse riding areas. Any horns may already be found. 6. Hunt from late February to late April for best finds. 7. Hunt 20-30 feet or more around trails . 8. Search under large trees, flat fields, forested glens and remote hill sides. Round top hills are also great places to hunt. 9. 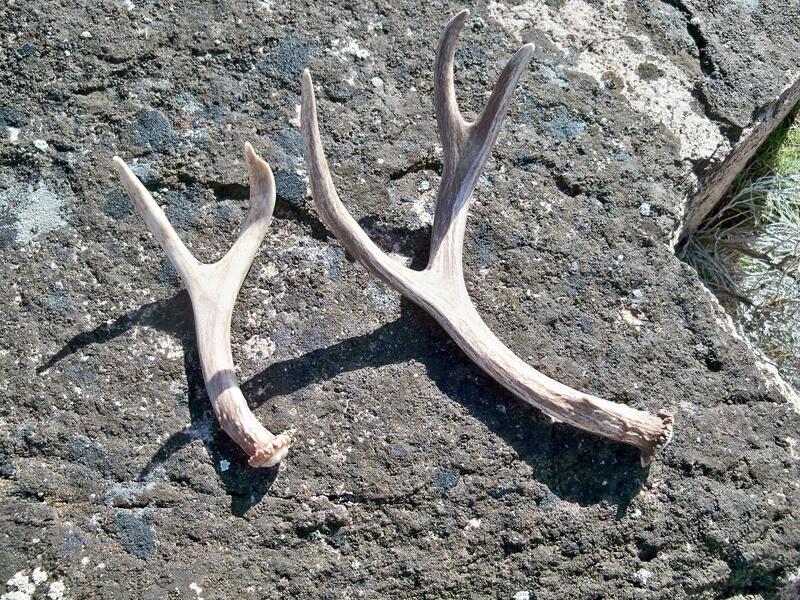 Areas with notable human activity such as gun shells or bottles may be more difficult to hunt and find antlers. 10. be aware of whose property your on. 11. The more remote the area the better. 12. Matching antlers are rare. I have only found two matching sets in one spot twice. Hope this helps with your antler hunting. This entry was posted on March 5, 2011 by .. It was filed under Knife making-Blacksmithing and was tagged with antler, antler handles, deer, deer antler, hand crafting, hiking, hunting, Knife making, knives, outdoors.